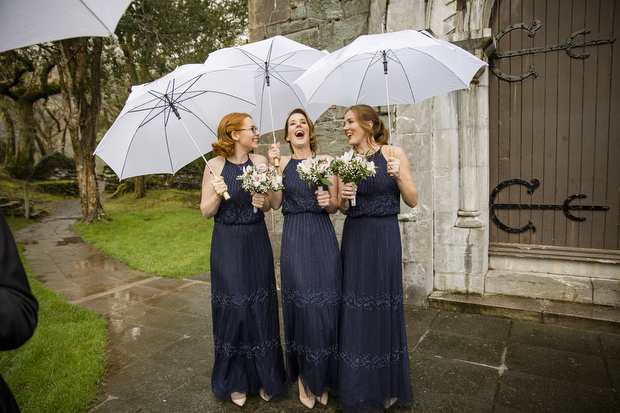 The thought of rain on your wedding day is enough to send brides into a tailspin. 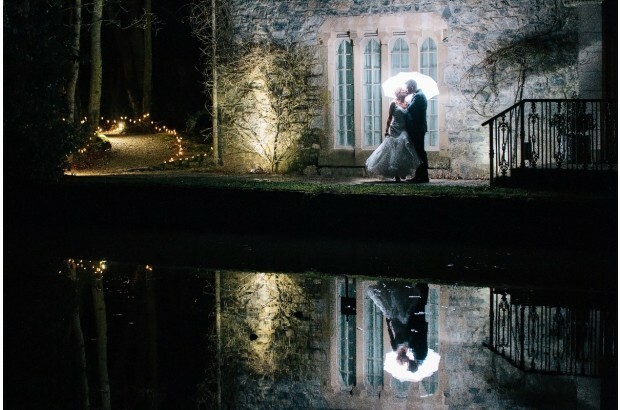 Especially those who have always dreamt of a sunny, outdoor wedding ceremony, followed by canapes on the lawn. Well, to put your mind at ease, we’ve got some very practical ways you can deal with the threat of rain. We think that by the end of this post you may even be hoping that it does rain! 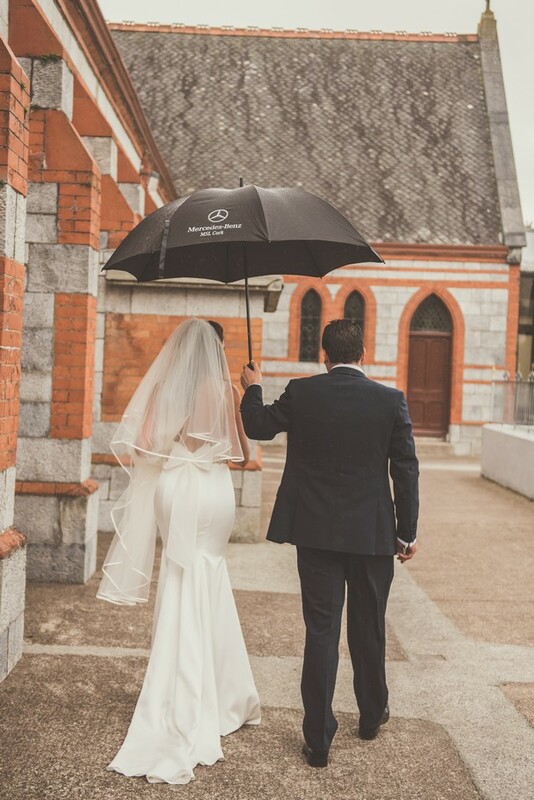 If rain on your wedding day is even a slight possibility, always have a backup plan. 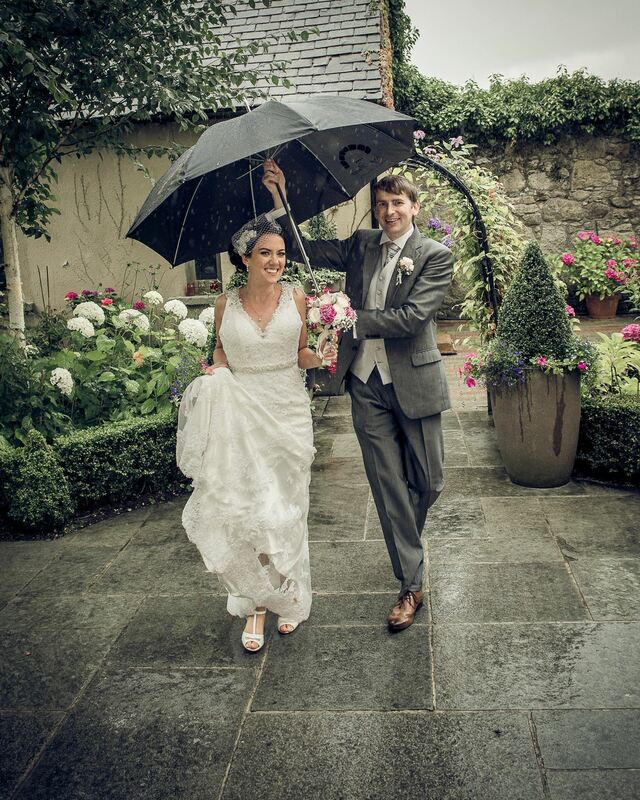 Select a wedding venue that has an indoor option for you if the weather looks grim. 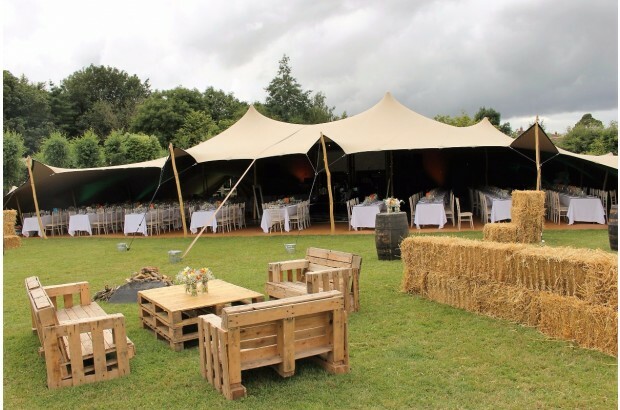 A beautiful indoor ceremony location, a marquee or stretch tent will do the trick. 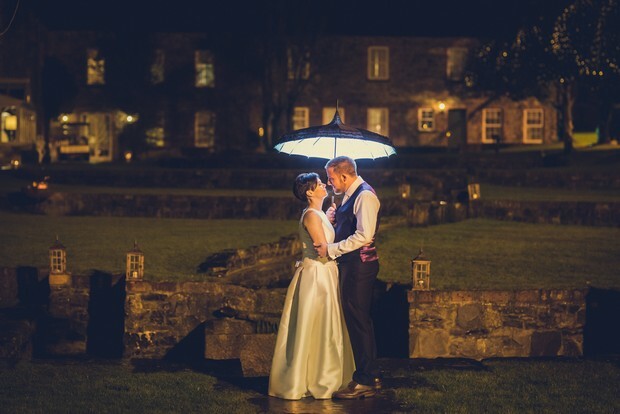 Here are some gorgeous marquee venues in Ireland that you will love! 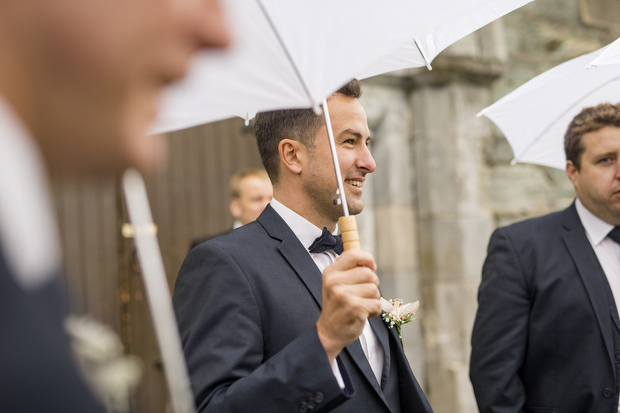 Let your guests know that it may rain on your wedding day and ask them to dress warmly. There is nothing worse than getting to a wedding and being cold and uncomfortable, so make sure everyone is prepared. 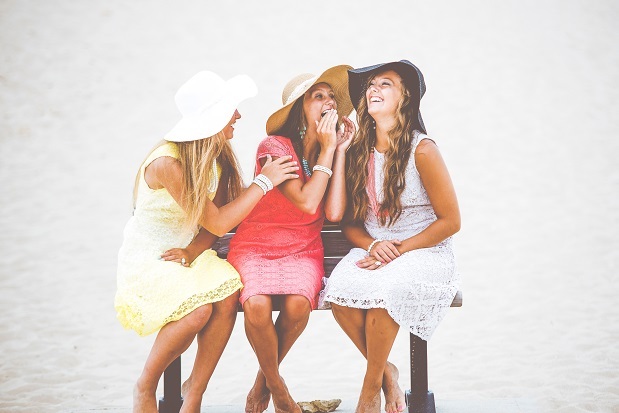 You can use your wedding website to notify guests or you can ask your family and bridal party to help you spread the word. 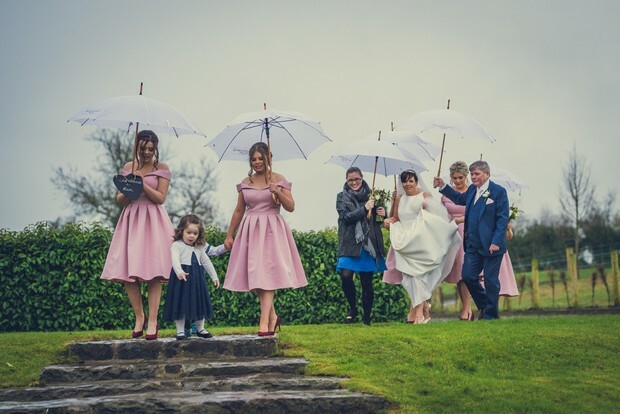 You’ve got to admit, matching umbrellas look super cute in wedding photos! Grab some for yourself and the bridal party, and if your budget will allow, get some for your guests too. 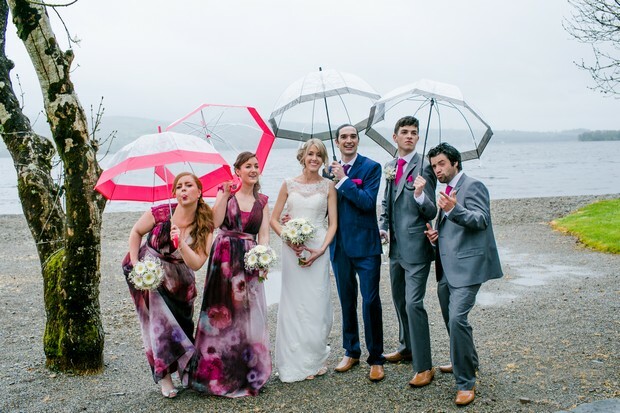 Check out this post for some stylish rainy day brollies for your wedding. 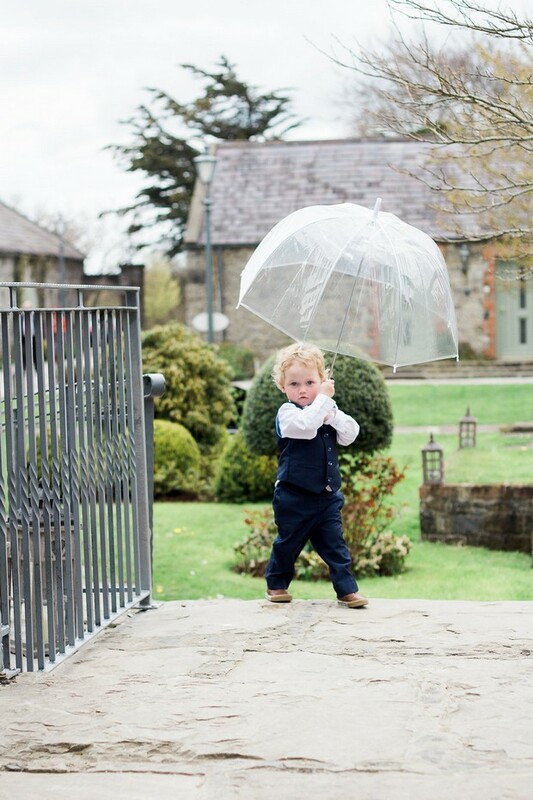 If the rain is really bad and taking portrait photos just isn’t an option, talk to your photographer about the different options. 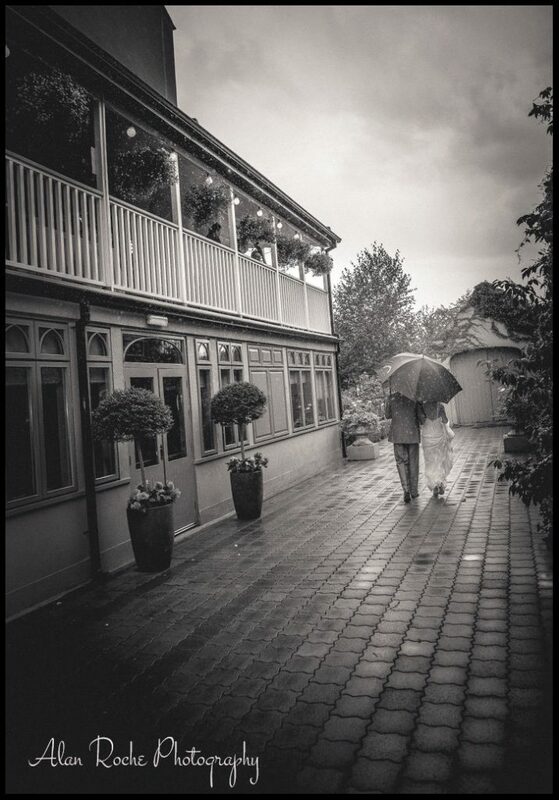 See if you can take photos on another day, or if it’s possible to slip outside when the rain calms down. 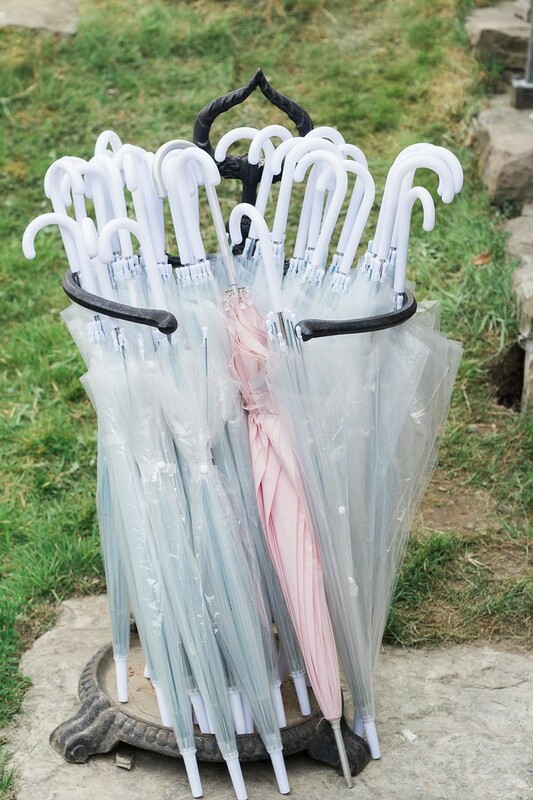 Sometimes rain is just unavoidable and if you are in the mood, use this to your advantage. 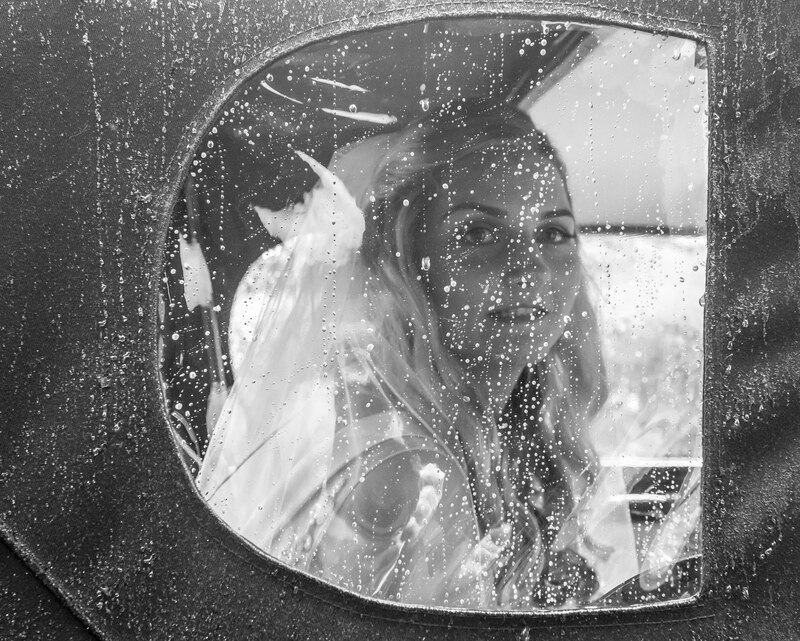 Rainy wedding day photos are incredibly special and these photos will have you hoping it will rain on your wedding day!